The 2nd solo exhibition of Chin Kong Yee at Townhouse Gallery is very much motivated by the artist’s residency at the 5 th Summer Academy of Modern Art Symposium at Turda, Romania, as well as trips to Penang, Terengganu and Thailand. 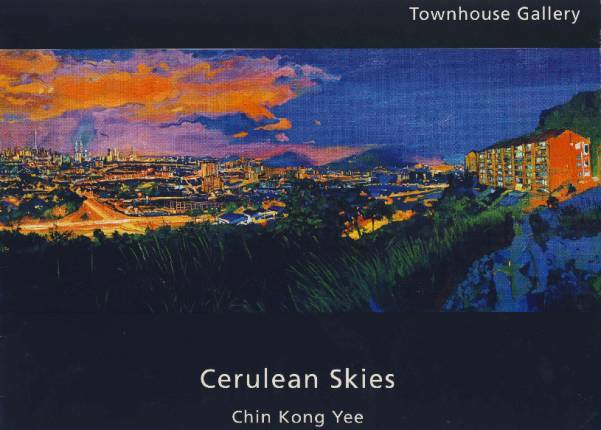 Cerulean Skies links everything (or places) together with Chin’s mastery of hues and shades of blue. With more focus on the environment, the paintings invite the viewer to complete the works as the onlooker.